Hundreds of young entrepreneurs have been inspired and energised into changing their lives, thanks to the University of Sunderland’s Enterprise Place. Now the business leaders of the future have had the chance to share their ideas as part of a major showcase event. Between October 2015 and September 2018, the Enterprise Place officially accepted 138 business ideas, and went on to register 81 of those as companies. Many have now moved on, making their own way among the region’s business community. 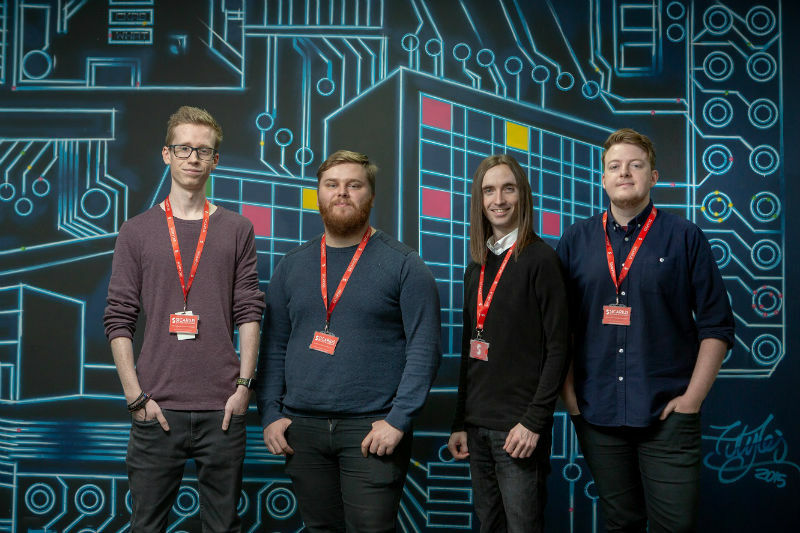 The project, which has been housed in the University’s Hope Street Xchange building since January 2017, has also supported hundreds of students, offering lectures, taster sessions, and inspiring workshops to help entrepreneurs build their business’ dreams. The Enterprise Place offers 12 months of support to fledgling businesses, as well as a working space, business advisors, networking opportunities and ‘grow your business’ programmes. One fledgling company is software development business Sicarius. The business – made up of four graduates – spent 12 months on placement with the Enterprise Place. The team met while studying Computing and Computing Science at the University. During their second year, they decided they worked so well together they wanted to launch their own business, and Sicarius was born. All four graduated this summer with first class degrees and are now gearing up to get their company on the road to success. Sicarius aims to offer website and app development, as well as bespoke software services to businesses and prides itself on its friendly approach to customers. Other Enterprise Place success stories include Fern Snailham, 24, who has significantly grown her business, UNEEK Staffing, in just a year. She now supplies a pool of more than 500 promotional and events staff in a variety of contracts to a range of clients across the UK. Fern, from Stanley, County Durham, has also opened up a hospitality division, set to increase to over 1,000 staff. The young entrepreneur came up with the idea after she spent a year freelancing across the UK, promoting new products and raising brand awareness in everything from supermarket products to cars. The work offered her the freedom and flexibility of being her own boss, but she decided she needed the business qualifications to support those ambitions. Fast forward three years, and within days of graduating with a first-class Business Management degree at the University Sunderland, Fern began setting up UNEEK Staffing after securing membership with the Enterprise Place. To find out more about the Enterprise Place visit here.